A spike in the amount of sexual offences and violent crimes committed in Lincolnshire has marred new figures which have revealed yet another drop in crime in the county. 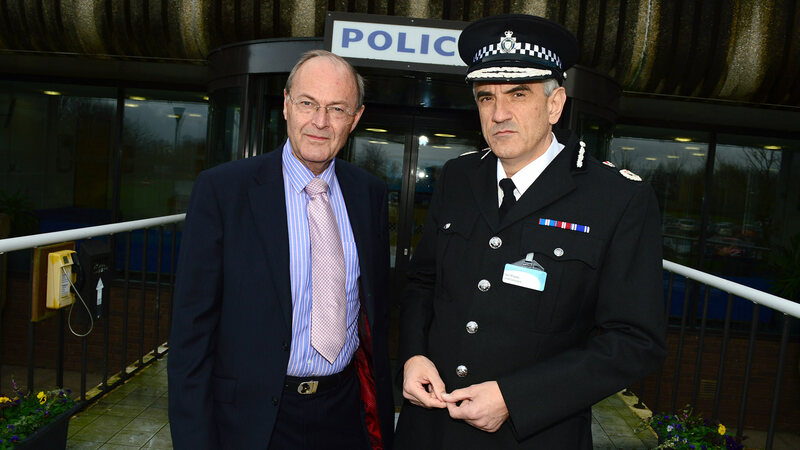 Overall, crime has fallen by 2.1% with 744 fewer recorded incidents in Lincolnshire, according to Police and Crime Commissioner (PCC) Alan Hardwick’s annual report. Crime over the last five years as a whole has reduced by 23%, at a faster pace than the national average. However, sexual offences have increased by 38.1% in the last year, with 253 more cases recorded by Lincolnshire Police. The rise, which follows an 18.1% increase in 2013-2014, has been partly attributed to the national picture and greater numbers of victims having the confidence to report historical offences to the police in light of Operation Yewtree. So-called violence against the person (which includes common assault, assault with injury, harassment, wounding, death by driving, manslaughter and murder) has also significantly risen in the county, with 235 more crimes compared to the previous year. Burglary has slightly increased with 29 more crimes recorded but other theft and shoplifting crimes are down by 10.8%, which equates to 1287 crimes. Other findings highlighted in the report include reductions in the number of people killed on Lincolnshire’s roads (10.1%) and anti-social behaviour (2.2%). In total, 83,709 emergency (999) calls were received by the force, with 95% answered in 10 seconds. Some 91.6% of all (primary) non emergency calls (366,683) were answered within 30 seconds. Response times to urgent rural and urban calls also improved compared with the last two years. The report comes as the force still awaits a response from the Home Office for a increase in funding to secure the service it provides. PCC Alan Hardwick said: “Despite budget reductions and the cuts that are taking place in many other police areas, I have maintained police officer and Police Community Support Officers (PCSO) numbers. “The independent HMIC (Her Majesty’s Inspectorate of Constabulary) has graded us ‘outstanding’ in terms of delivering affordable policing, giving you, the taxpayer, a fair deal. “HMIC also recognises Lincolnshire Police as ‘good’ in terms of our effectiveness at reducing and preventing offending and ‘good’ at tackling anti-social behaviour. “Whilst our overall performance continues to be good when compared to other police forces, the next few years will be extremely challenging for policing, both nationally and locally. “Without a fairer slice of the national police grant, or substantial precept rises in future years, we could see significant degradation of service from 2016 onwards. “That would undoubtedly take the form of fewer PCSOs, police officers and the staff who support them.